The first drinking difference to consider is the legal age to drink. In the USA it is 21, while in all Commonwealth countries it is only 18! While in Canada some provinces are 19 and some are 18. Bars in Britain traditionally closed at 11 p.m. by law while in the USA they close at 2 a.m. by law. England has recently passed a new law that allows late night drinking, so some bars are now open until the wee hours. Bars in Australia and South Africa vary considerably. In Britain, beers (ales or bitter), are served warmer than in America! Ales (as opposed to lagers) are served at cellar temperature - which is below room temperature, but definitely not 'chilled' - chilled bitter is tasteless (as is a lot of lager at whatever temperature) but warm bitter is foul (but not as foul as warm lager!). The reason is simple: beer should be served at the temperature that it ferments at - ales are fermented at a slightly higher temperature than lagers.. This applied to English ales and bitters, but not to foreign lager or beer, which is always chilled. In the USA beers are chilled to almost freezing point. Drinking bitters and ales is an English practice that has not been extended to the rest of the Commonwealth. Countries like Australia and South Africa serve mostly locally made lagers, well chilled. In America, beers are mostly served in the bottle (even by 5 star hotels). They will wrap a paper napkin (serviette) around the bottle to soak condensation. Up market hotels in the Commonwealth would frown at a patron requesting to drink straight from the bottle. Australia is metric, therefore a 'nip' of alcohol is 30ml. In the US, a 'nip' is 1 fl ounce - which is quite a lot larger. One of our contributors worked in a bar at an up market hotel in Australia and had regular arguments with US clients who insisted she was short-pouring them! In the Commonwealth it is quite common to mix beer with sweet drinks. A 50/50 mixture of beer and Sprite or 7Up is called a “beer shandy”. Gingerbeer is a carbonated soft drink sold in cans like any other soda, and is NOT alcohol, but is mixed 50/50 with real beer. Another common mix is the “Lime & Lager” – a shot of lime cordial is mixed into a beer. Incidentally, Sprite or 7Up in the Commonwealth is called lemonade while lemonade in the USA is a homemade drink made from real lemons, sugar and water. Ask for lemonade in the Commonwealth and you will get a drink that is labeled Lemonade on the can but will taste just like Sprite. In the Commonwealth, Whisky is seldom served with ice, and certainly NEVER with a mixer – only club soda is acceptable. In the USA it would be quite common to order a whisky and ginger ale or coke, or even the classic “Seven and Sevens” – Seagram's Seven whisky with 7 UP as a mixer. Having large quantities of ice in one’s drink is very much an American practice. Even coldrinks (sodas) in the Commonwealth are mostly served without ice, or at the very most perhaps with a cube or two. In the USA soft drinks are poured only after the glass has been filled at least half to three quarters with ice. Most people in the Commonwealth like to have a “local”. This is a bar close to home or work that they visit on a regular basis. They know everyone there and everyone there knows them. A home away from home they visit to see friends or just to sit and read a book while having a quiet beer. Drinking alcohol on a regular basis in Commonwealth countries is pretty much a way of life. More often than not the average person will consume some form of alcohol every single day of their life – even if it is just a quick beer at their local pub on the way home or a glass of wine while watching TV. People in the USA who consume alcohol on a daily basis would be regarded as alcoholics. In the Commonwealth it is very common to buy "rounds" of drinks at a bar where each person takes a turning in paying for the drinks of everyone else in their group. This does certainly encourage more drinking! If an American were to enjoy a beer with his lunch during a working week, it would be grounds for INSTANT dismissal!! In the Commonwealth, going to the pub for lunch and a few beers is not only common practice, but bosses use this as an opportunity to get to know their staff better and the company will often PAY for the food and booze! More often than not, these impromptu gatherings will continue for the balance of the afternoon with the employees only getting out of the pub at 5-6 p.m. and heading straight for home. Funnily enough bosses consider this as an excellent business day with many work problems discussed and solved over a beer and good relationships forged with subordinates. 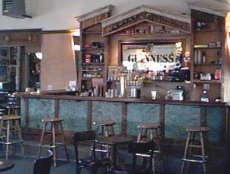 In the Commonwealth many companies have a fully stocked bar in their offices and employees are encouraged to socialize over a few drinks after work on a Friday (and often on other days in the week as well). Drinks are normally free or heavily subsidized by the company. In the USA this would NEVER happen because if one of the employees were to have a vehicle accident on the way home they would be able to sue the company for providing the alcohol that "caused the accident". Also, if an employee drank, and got hurt on the job, the insurance would have to pay the doctor bills. An you KNOW how expensive health care is in the US!! Big companies have exorbitant health insurance costs, already, so drinking while working would be grounds for instant dismissal. Liquor laws in America differ from state to state. In California you can buy liquor 7 days a week, right up to 2 a.m., In Nevada, booze is on sale 24 hours a day, seven days a week, while in Texas, Kentucky and other southern states there are many counties you can't buy liquor at all, not even beer on ANY day. Some states will only allow beer that is 3.2% alcohol while others (like Utah) prohibit the sale of hard liquor completely unless you belong to a club. Many states have open container laws - that is no open containers of alcohol are allowed in a vehicle - not even if a passenger is drinking it. Liquor laws in the Commonwealth generally prevent the sale of Alcohol on a Sunday and after certain hours in the evening, and like the USA, the legal driving limit is 0.08. In Australia, the legal driving limit is 0.05 and liquor is available for sale 7 days a week.